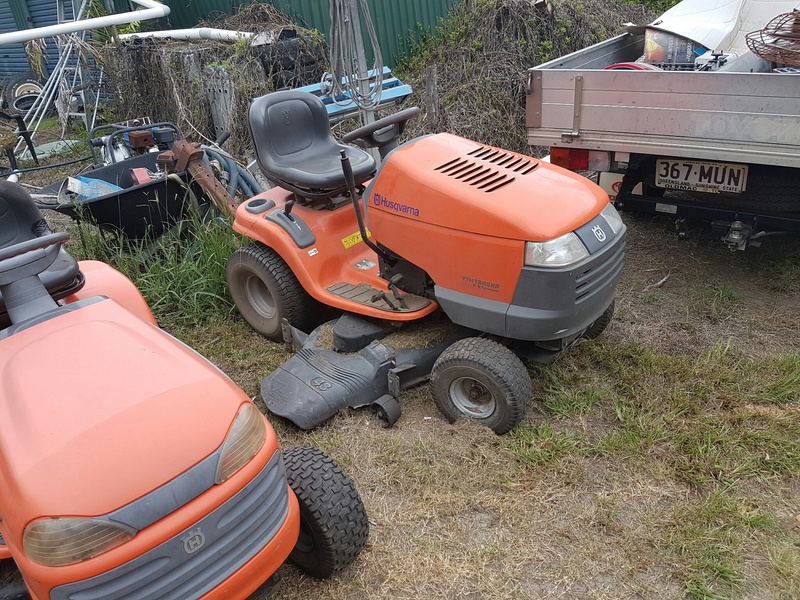 UNIT WILL FIT IN A 2WD SINGLE CAB TRAYBACK UTE(2400 x 1800) OR AN 8'x5' TRAILER (LOADING RAMPS AVAILABLE AT $10 EACH EXTRA PER DAY WITH MOWER HIRE) MUST HAVE APPROPRIATE ROPE/TIE DOWNS & PHOTO I.D. ETC. 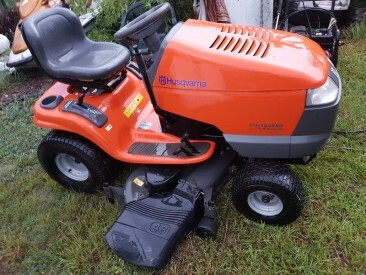 HUSQVARNA RIDE ON LAWN MOWER YTH1848XP WITH A MASSIVE 48" (1.2M) CUTTING DECK . 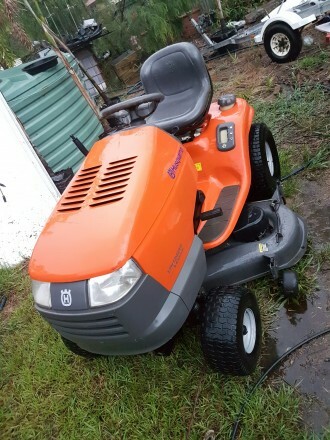 BLADES OPERATE WITH THE CLICK OF A BUTTON & A POWERFUL 18HP KAWASAKI ENGINE. 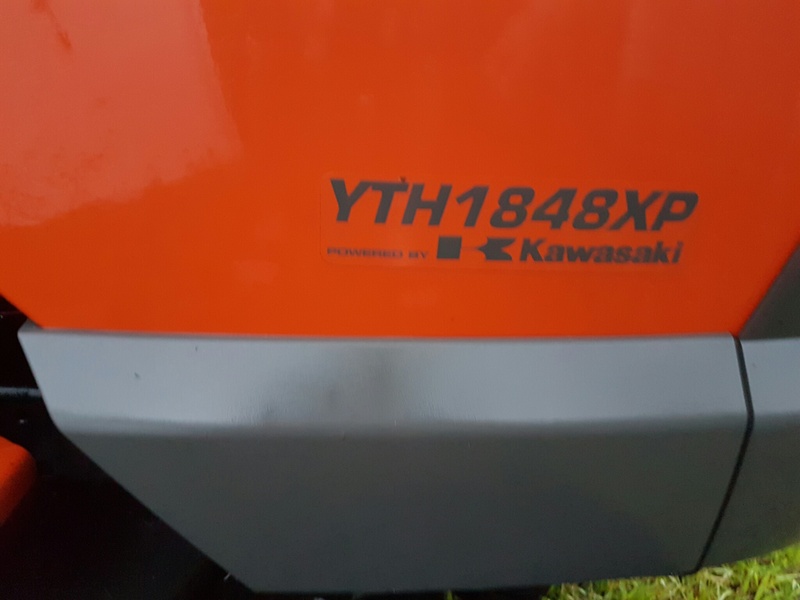 The YTH1848XP is ideal for homeowners and landowners with larger gardens who need a durable and comfortable tractor with high manoeuvrability. It is a powerful tractor with side ejection for demanding lawn care. Because the cutting deck ejects clippings, you get maximum capacity even on areas that are cut less frequently. The locking differential transmission gives superior traction in slippery conditions and slopes. 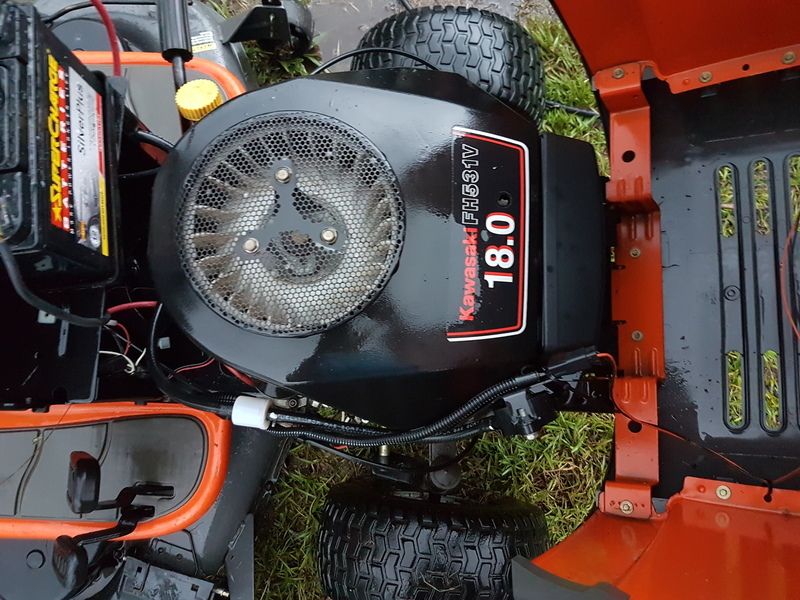 Driven by a powerful Endurance Series, twin cylinder 18HP KAWASAKI engine that starts with one touch. Pedal-operated hydrostatic transmission and cast front axle means easy, trouble-free operation. PERFECT FOR ACREAGE PROPERTIES WITH LARGE AREAS TO MOW, READY TO GO, UNIT HAS JUST BEEN FULLY SERVICED & NEW BLADES FITTED. Even though a demonstration will be given, Users/Hirers must be competent in operating the unit in a safe manner, & have read/Understood the owners manual FULLY available via clicking on the following link. Hi Mick, this website isn't functioning properly at the moment but not too worry. Yes, you will need means of tranport(including getting it onto trailer etc. Day hire(8hrs use) is $125 & the Bond is $350(fully refundable upon return of undamaged unit). What size property are you mowing Mick?